We strive to provide all modes of communication to the HAMs in Chattanooga, TN, NW GA, NE AL and surrounding areas. There are so many different bands and modes, we concentrate on the repeaters and nodes because that’s the part of the hobby that we love being involved in. We want to bring the connected analog and digital modes to the areas around us that have not had access in the past. 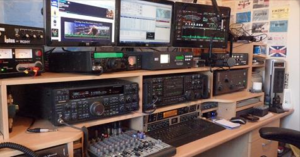 Our vision is to enhance amateur radio by positioning a variety of equipment throughout the area. We work with local enthusiasts discussing theories, communication models, types of equipment, gadgetry, and more. Are we a club? That depends on how you see things. We are a club by ARRL / FCC definition. We do meet the minimum requirements and the N4LMC call sign is a “club call”. Beyond that, no we’re not! Our website offers a wide variety of information. New information and resources are being updated and/or added all the time. Take a look at the Main Menu and just drill down through all of the choices to check out what we have to offer. At this time we offer a wide variety of repeaters and nodes that encompass Analog as well as Digital modes. Our repeaters run under several call signs. N4LMC belongs to the Lookout Mountain ARC, W4GTA belongs to the Tri-States ARC, W4PL belongs to the Chattanooga Old Timers ARS & W4RRG belongs to the Rebel Repeater Group. All of these are calls that I/we are authorized to use by those respective clubs and/or trustees. A HUGE Thank You to all of them! 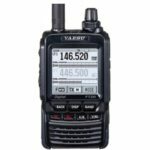 YAESU ANNOUNCEMENT: The Official Yaesu USA digital only net will be on Sunday April 7th at 4pm – Eastern, 3pm – Central (2100 UTC). The focus of the net will be PDN/HRI operation, setup, HRI-200, and registration questions. This net will answer questions, however it will not have technical support available to answer in depth questions. Depending on the question, answers may not be available. You can also reach technical support during normal business hours. You will be able to connect into the net via the N4LMC Wires-X Systems. This is a Yaesu System Fusion digital voice net only. This means no links, bridges, or crossovers to other networks or modes. I look forward to hearing you all this Sunday, March 3rd at 4pm – Eastern, 3pm – Central (2100 UTC) on the N4LMC Wires-X Systems! 2019 Winter Field Day is in the books! We had an awesome time at Gifford Farms, the adults and the kids! Thank You as always Jim Gifford, KM4MPF! Winter field day was a huge success. Cold temperatures did not discourage the local hams from gathering for some food, fellowship and fun. A special thanks to Jim Gifford, KM4MPF, for organizing and coordinating the event. Not to mention the amazing food he and Wayne James, WB4IEJ, bbq’d up. Events like this take many hands to make them work and while we can’t list everyone who helped, each person who participated contributed toward making this Winter Field Day such a great event. Weather conditions allowed for contacts all across the globe with better success on 80 meters at night. At the event over 75 contacts were made working 3 stations. One station was connected to a dipole antenna and was used on 20, 40 & 80 meters. A full metal jacket antenna, by Alpha Antennas, was used on 20 & 40 meters and Michael Ashmore, KM4LVX, had his horse fence (yes, that is correct… ask Michael!) antenna running his station on various bands. 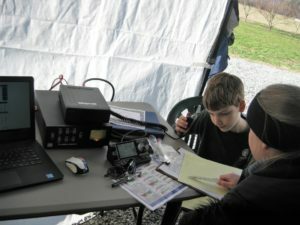 Official results have not been calculated for the exact number of contacts made, however, Rich Wagner, KC4IHO, made sure our young Trail Life boys participated and even recorded at least one contact. Thanks to all who participated to make this Winter’s Field Day so memorable! We’re putting some pictures up here. If you have pictures you want to share with us, please contact Emmett Perdue (W4EDP), Jim Gifford (KM4MPF) or Terri Perdue (N9ZEN). Sunday, 7 PM Eastern on the LMARC Digital Systems, the Young Operators Digital Voice Net. Net control will be 9 year old, Extra class Danielle, KE8JNU. This net is geared toward topics of interest for school age young people, either licensed or 3rd party with a licensed operator present. But even though this is focused on younger operators, all are welcome to participate. The goal is to enhance discussion of ideas while fostering the development of operating principles and techniques for young people. Let’s help our young people get interested in our hobby, join in, contribute, Elmer them! Be sure to check out the new page for the Chattanooga Sunday Night Net! We’ll update the page with more information and new features as those are available. Join the Net, just listen in if that what you need to do, hope you’ll join in soon! 144.390 – N4LMC-3 APRS Tx/Rx iGate and Digipeater. Coverage for Chattanooga Metro area, NW GA & NE AL. 144.920 – N4LMC Allstar Node 46145, Simplex and requires a 146.2 tone. Can be linked to multiple other systems. 145.160 – N4LMC D-Star C Module, IRCDDB System generally linked to XRF555A, can be linked to other systems. 145.750 – W4EDP-10 RMS Gateway Digipeater. Coverage for Chattanooga Metro area, NW GA & NE AL. Supports GA ARES when needed. 224.120 – N4LMC Allstar Node 46530, Simplex and requires a 146.2 tone. Can be linked to multiple other systems. 442.650 – N4LMC Fusion Wires-X, linked to Alabama Link. Goes Analog to air the ARRL and ARN News. 442.725 – W4PL Fusion Wires-X, linked to Alabama Link, full time Digital. 444.150 – W4PL DMR, Brandmeister network, US TG 3100 full time on TS1. Code Plugs available. 444.7125 – N4LMC DMR, Brandmeister network, US TG 3100 full time on TS1. Code Plugs available. 444.725 – W4RRG D-Star B Module, IRCDDB System, generally linked to XRF757A, can be linked to other systems. APRS Node N4LMC-3 144.390, I-Gate Tx/Rx <-> Internet and Digipeater. Echolink N4LMC-L Node 94680, Linked to the N4LMC 144.920 Allstar system on Signal Mountain. Echolink N9ZEN-R Node 68581, Linked to the K4SOD 146.760 repeater on Sand Mountain. Echolink W4EDP-R Node 9058, Linked to the W4GTA 145.350 repeater on Lookout Mountain. Wires-X – SOUTHEAST-LINK, Room ID# 43389 – Bridged to YSF Room US SOUTHEASTLINK, Room ID #95984. TGIF SOUTHEASTLINK, TG 43389 – Bridged to YSF SOUTHEASTLINK #95984 & Wires-X SOUTHEAST-LINK # 43389. XRF139 – D-Star Reflector. On the IRCDDB XReflector system and open for anyone to use modules C-F (A & B are spoken for). YSFReflector – US SOUTHEASTLINK, Room ID #95984 Bridged to Wires-X SOUTHEAST-LINK # 43389 & TGIF SOUTHEASTLINK # 43389..
145.350 – W4GTA Yaesu Fusion, Analog / Digital and requires a 100.0 tone. Provided by the Tri-States ARC. Echolink – K4VCM-R Node 79190, Linked to the 146.790 K4VCM repeater. Provided by Tom Morgan, K4VCM. Echolink – KM4MPF-R Node 946756, Linked to the 444.700 KB4ACS repeater. Provided by the Sequatchie County ACS. A brief note: The key to success on the air is described by one word: Courtesy. 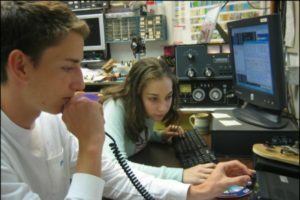 There’s no other way to explain how hundreds of thousands of Amateur Radio Operators can share the same radio frequencies all over the world with minimum interference and conflict. If you keep courtesy at the front of your mind you’ll rarely have difficulty on the air. An attentive and courteous operator is welcome on our systems! have fun and enjoy this hobby!